Italian designer Roberto Cavalli is widely known for his exotic prints and sand blasted work. These themes are part of the signature style of the famous designer. 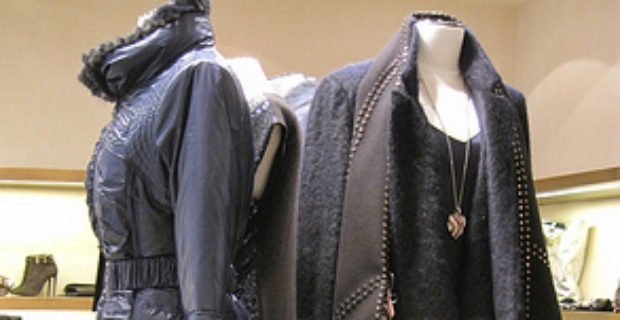 Even though the fashion house has offerings for men and even children, Roberto Cavalli dresses and outfits are responsible for much of the brand's acclaimed success and popularity. Gorgeous, vibrant, young, elegant and chic are a few of the descriptions of Roberto Cavalli dresses. The main theme of Roberto Cavalli dresses for spring and summer was mainly youthful and preppy with models parading sequined blazers and shimmering short and long skirts in extravagant gold. Muslin and twill were the main materials used in the fabulous pieces. Pleated skirts, waist dresses all with shiny sequins and cobweb necklines dominated the catwalk. Cavalli's main line was however sophisticated and glamorous. This time the focus was on the back not on the midriff with plunging backs on black and glittery evening gowns. For the summer look, animal prints (tiger and leopard) were at the forefront showcasing a tropical theme. Bright colours were also the order of the day such as intense yellow, green, and azure. Vogue’s Lucinda Chambers quoted the autumn/winter 2012 fashion show in Milan as “quintessentially Cavalli.” Again, dresses and gowns were sophisticated and extravagant. Sequins were used on these show stoppers as well as lots of leather and fur. There were mini puffed and swirling skirts as well as long maxi dresses. Ball gowns were embellished in fur, sequins and beads along with elbow length gloves. The highlight of the show was the appearance of veteran supermodel, Naomi Campbell who catwalked in a shimmering plunging purple gown and black elbow-length gloves. Cavalli did it again with two successful shows parading Roberto Cavalli dresses in 2012. This year's spring/summer campaign is a tribute to the Mediterranean with pastel colours dominating the scene. We'll still see animal prints, exotic colours, and intricate prints with the likes of Isabeli Fontana, Sui He, and Malgosia Bela promoting the line.